I am committed to my local community and my friends and because of this it often means that to stand with them in solidarity I get involved in lots of projects and am afforded lots of adventures. When Rob & Peter from Flirt asked if I knew someone who could bake for the Macmillan Coffee Morning I don't even think I took a second to think before replying with 'Of course I will bake some cupcakes'. See statistically 1 in 3 of us will be diagnosed with cancer at some point in our lives and whilst that might seem like a cold statistic for me its one thats very real. Over the last 10 years its fair to say cancer has had a field day with my family and friends. Some of whom have battled hard and today are winners, others who battled hard yet were still, sadly for us, promoted to glory. Macmillan and Marie Curie have been consistently amazing to us! My gramps was 65yrs old and had just retired when he was diagnosed with cancer. We all knew there was nothing anyone could do to stop it from taking him so he had a few months where he crossed some things off his bucket list. When the time came he made the decision to spend his final days in our local Macmillan hospice. I wasn't sure how to feel about it at the time, I guess it made me feel like we weren't up to caring for him, like we had let him down but in truth he was caring for us in the decision he made. The hospice wasn't at all like I expected, it was homely, warm and full of laughter. On his very last day he ate a beaut prawn and salmon sandwich and enjoyed a tipple from the drinks trolley (that place has a great cocktail cabinet), we said our goodbyes and he sent me home to rest saying the days ahead would be busy for me. Sure enough as he had told me he died that day, 11:55pm the hospice called to say he had died and that I could go and pray with him. The little bugger was right, he had planned everything including the timing of his final day. The staff at the unit made what was a difficult situation less painful, they loved us and gave us time to do the things that were important for us and for this I am eternally grateful. 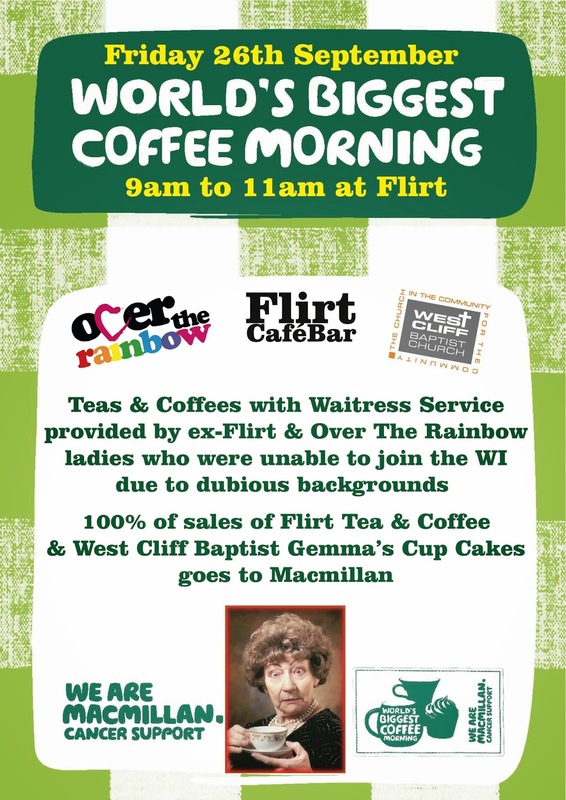 So today I joined forces with Flirt & the guys from Over The Rainbow to raise some cash, not because I was doing it for someone else but because I was doing it for me. This time it was personal!